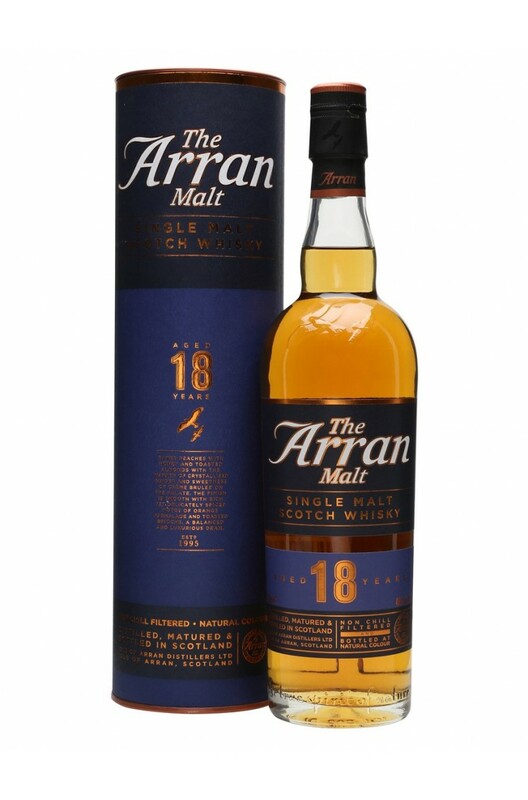 A fine 18 year old Arran that has been exclusively matured in the finest Sherry and Bourbon casks. Aromas (without water) Baked peaches with honey and toasted almonds. Sherry cask charring and subtle spice. Palate (without water) Waxy and coating with warmth of crystalised ginger and sweetness of creme brulee and caramelised brown sugar. Water uncovers floral notes, macadamia nuts and seville orange marmalade. Types of Barrel used for Aging Exclusively matured in Sherry casks. A fruity and powerful expression of Arran single malt that has been finished in the finest Port wine.. This is a limited edition of Arran that takes its name from the traditional small hill shelters used..
A rich, fruity and powerful single malt from Arran. Spicy, full-on and complex on the palate with so..
Volume one of Arran's limited-edition Explorer's Series - to celebrate the I..